David Zwirner presents Adel Abdessemed’s (an in your face exhibition I would like to add) called “Le Vase Abominable.” His beautifully created works, saturated in meaning and metaphor, stops time and invites the viewer to become encapsulated by these controversially, historically and politically charged pieces. We strongly recommend you take off a longggg lunch break or cancel those plans with whoever, because it is a MUST see and it will keep you occupied for quite some time. Caution: Le Vase Abominable” ends 30th March –Times a tickin- LITERALLY!!! 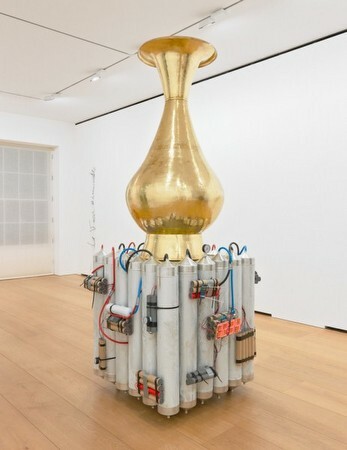 Upon entering the main floor, the viewer is confronted immediately by a large ticking time bomb or “La Vase Abominable,” which is a large tall copper vase placed on top of a ticking time bomb. Paralleling the vase, the other room, directly diagonal to the bomb, lay 5 smaller vases placed on top of small military boxes as well as a large charcoal sketch drawing of the throne of Queen Elizabeth II. Abdessemed declares these works to be ambiguous – and it is up to you to decide, but I have a theory…do you care to hear? The copper pots (for me at least) are reminiscent of Islamic pots that might be used throughout the Middle East, or ancient pottery found in this region. Being that Adel Abdessemed is Algerian, these references are not far fetched. Is it a declaration against the imperialism and interference Middle Eastern countries had endured and are still enduring to this day? To a degree yes, I think so! A key in deciphering this, is the sketch of the Queen’s throne. Why else would these Islamic pots have any relation to the English monarchy? Vietnam. Again, I believe here, the artist is attempting to criticize the governments and States that control the people. They say they are looking for the best interest of us (take a look at Bush’s invasion of Iraq to “protect” the United States and the rest of the world from weapons of mass destruction- we all laugh at this statement now, because it is evident there were other motivations OIL- HELLO!!). Are they really looking out for our best interests? Was Vietnam necessary? Was Iraq necessary? I could go on and on but we’ll leave it here. An animation also is housed on the Second floor, which is called “State.” It engulfs the viewer in imagery and sound, which is supposed to be a reference to the drawings of Republican prisoner protests in Ireland during the 1970’s. Again, these pieces all tie together as a declaration of the atrocities States and governments can inflict on the people and society. By looking and referencing the past, Adel is bringing forth an issue that we must all always keep in the back of our minds. Be weary of your governments. To be a better people and society, we must always question that is being done, and by looking at the past we can learn and look to a better future! 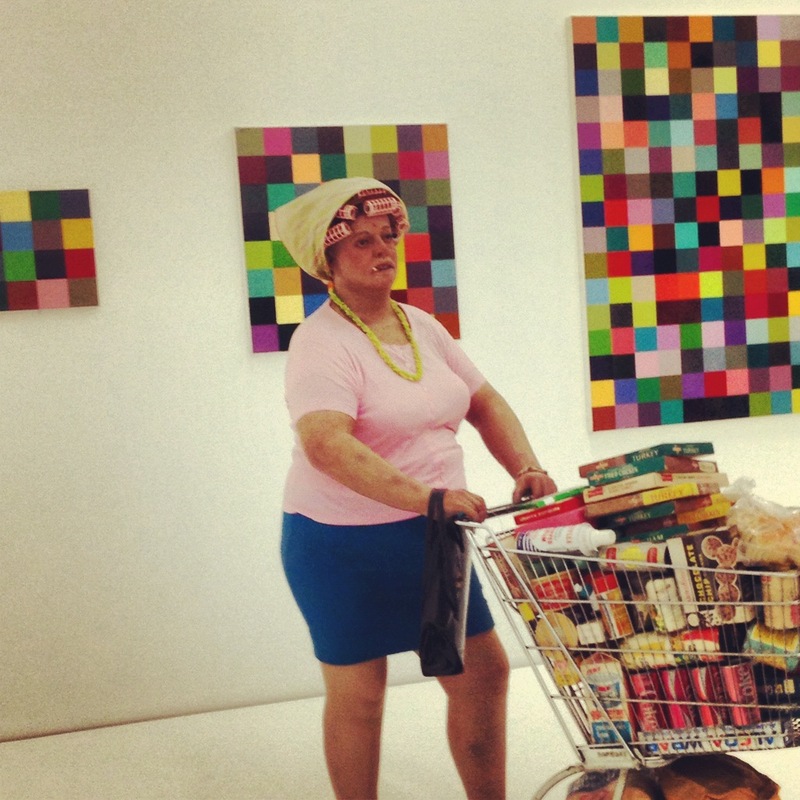 If anyone remembers the Turner Prize in 2010, ze award was given to Susan Phillipsz. Now I am no art genius and my opinion does not have validity at this point in the art world. Having said that it, I would like to applaud Angela de la Cruz’s work (above) and make the point that her work is extremely daring and twists notions of painting-which is why art is progressive in its practice. 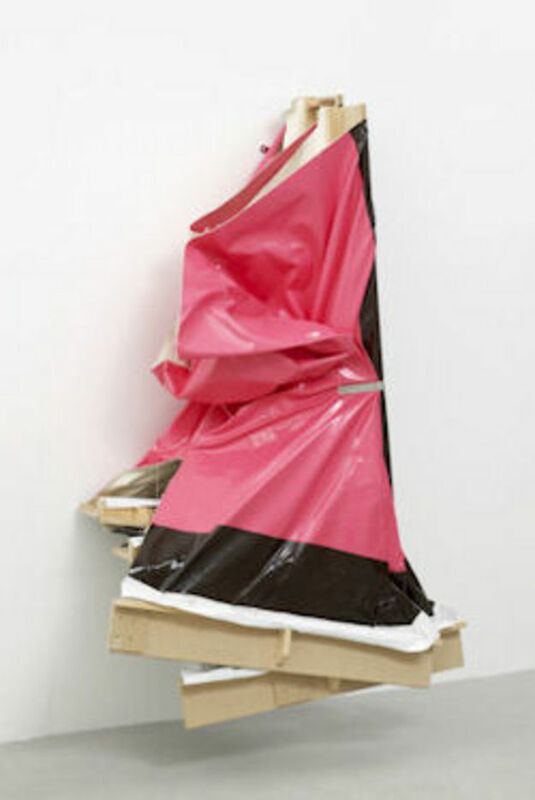 I will make the case here that I believe the work of Angela de la Cruz should have won the Turner Prize in 2010. You do not need to take my opinion into consideration, but I urge you to look at these works and pretend that you are a judge. It is fun! The Turner Prize is an award, or THE AWARD, given to an artist that has made the greatest contribution to the British Art World within the last year. It must be awarded to an artist that is under 50 years old, and has lived or worked in Britain for at least 12 months. In 2010, there had been four individuals that were selected to win the Turner prize; each with their own unique take on art. Angela de la Cruz – a painter. Angela de la Cruz is a Spanish born artist (1969), born in the city of La Coruna. 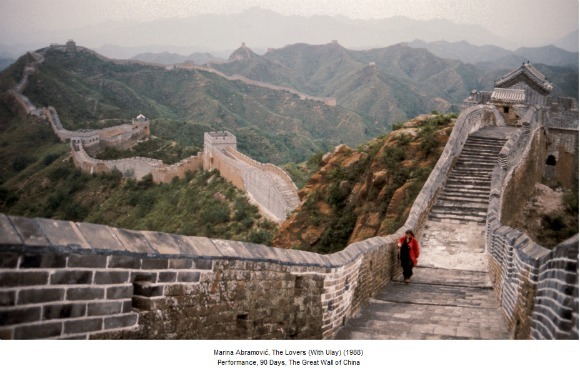 In 1989, she moved to London to study art. Tragically, de la Cruz suffered a stroke in 2006, and was unable to work for a few years. With renewed energy and dedication she bounced back and began painting, again. However, the artwork that she was nominated for was created prior to her stroke. Angela de la Cruz was nominated for her solo exhibition at the Camden Arts Centre. She had BROKEN the norms of painting physically and figuratively. Her paintings and sculptures have been destroyed and reconstructed in order to evoke a new sense of art. An example of this is her painting “Hung” which was a painted canvas. The frame of the canvas was later deconstructed and reconstructed in an unusual shape. This gave the painting a sense of awkwardness. She uses her art pieces as a language to convey feelings of rawness and humour. Her playfulness in her artwork is what I admire most about her. There is a satirical humour that her art radiates. It is not merely paintings on a wall, but personalities that interact with the viewer. 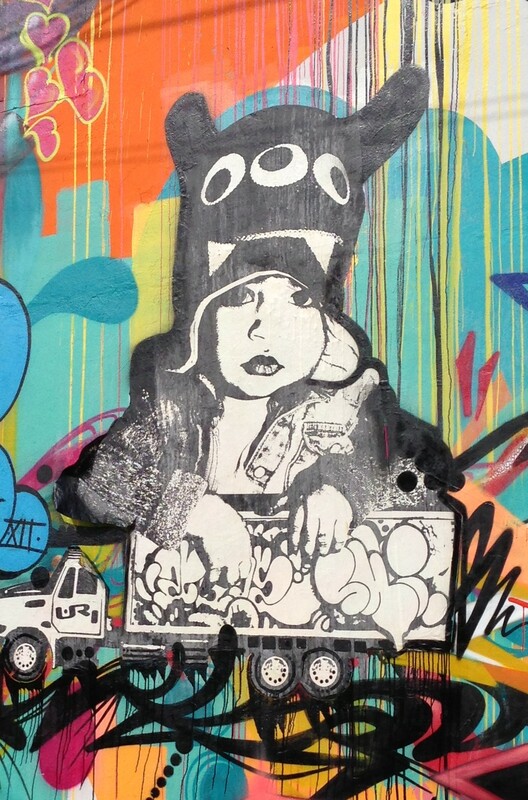 Each of her pieces of artwork has their own persona. I believe unlike the other artists, she has made new developments in the world of art, due to her unorthodox approach to it. Angela de la Cruz does not accept art the way it is, but attempts to redefine it. And isn’t that what makes good art? She follows in the steps of Duchamp and Pollock as art innovators. Her pieces have a sort of Duchamp/Robert Morris hybrid. She questions art. Her pieces force the audience think; what is art? Can this be art? How does one define what art is? Angela de la Cruz’s art is interactive. This is what an artist should do, question art and constantly be redefining what art should be. Well this is what I think, but why not take a stab at it yourselves! You turn the corer in a museum, and BAAM, you see someone who you think is real… but are they? Get closer. And closer. And closer. 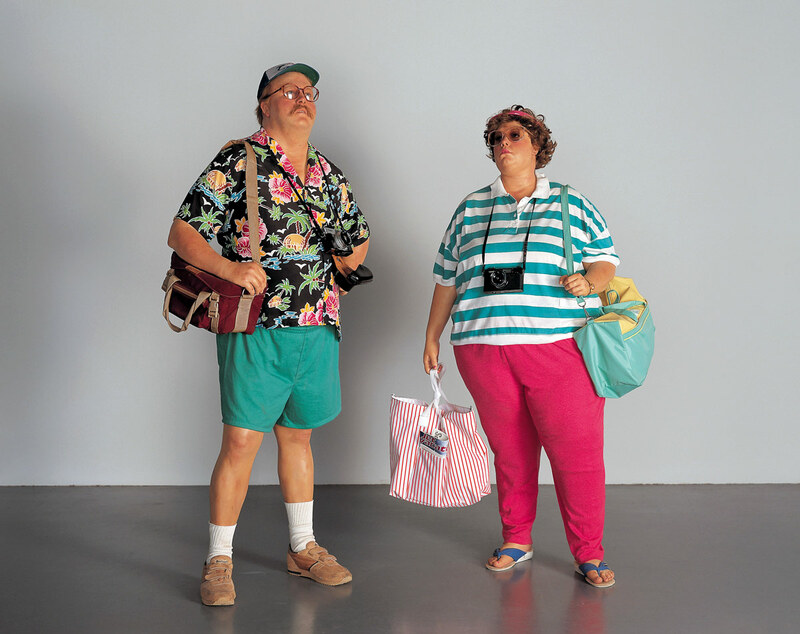 The American artist Duane Hanson depicts every day people in a SUPER HYPER-realist style. His attitudes towards the people he casts and then dresses turn out to be somewhat humorous.You have the old couple in their utterly tacky vacation wear, the woman at the grocery store with her curlers FULLY in tact, and sometimes you’ll come across a celebrity like the Miami Dolphin’s stud Dan Marino. Hanson started making these incredibly lifelike sculptures starting in the 70s. The sculptures are made from casting actual people – so yes, their bodies are fully covered from head to toe, and once the cast dries, he applies a fiberglass coat which then he paints to make the skin look realistic by adding veins and blemishes (gross). While his work is often associated with the POP art movement, it also falls into the category of hyperrealism. Keep your eyes open for these “sculptures.” You never know if what you are looking at is real or not. And trust me, sometimes you never know … but for real. 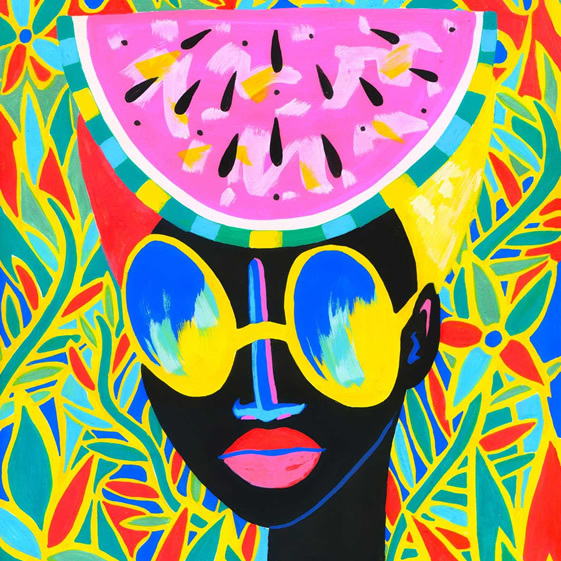 JUNGLE FEVER is a THRILLING ride into the WILD world of Lynnie Zulu. Her bold tribal graphics – with a jazzy, psychedelic twist – lead us on an expedition into the unknown. Zulu’s spontaneous and fluid style imprints her vivacious personality on all her work. Her connections with Tanzania also enable her to draw from a deep well of African creativity. For her FIRST solo show, she has made spectacular use of the vibrant patterns and colours found in tropical rainforests and jungles. Her fascination with the individual also introduces us to a community of mysterious and charismatic characters. Faces magically emerge from the patterns and rhythms of their surroundings. Zulu’s work transforms the space, conjuring up a world of exotic fantasy in a Victorian building in Notting Hill. For this event, she has worked closely with DJ and producer Nick Hadfield who will programme a live soundtrack to the art and space over 2 days. Expect to hear Afrobeat and Calypso – mixed with a fresh, electronic edge – harmonising perfectly with the art. Proceeds from the art sales will be donated to Kith & Kids (no. 1080972) who provide activities, opportunities and support for people with learning disabilities or autism. Friday 22nd March: Fundraising Party from 7pm until 1am with guest DJs. At Bumpkin’s Attic, 209 Westbourne Park Road, London, W11 1EA. Please RSVP to: info@somethingintheattic.co.uk stating which date(s) you would like to attend. The Met Buys a David for $840 – Say What?! On January 29, 2013 Swann Galleries in New York City had an auction of Old Masters. Super. Right? Well, if you are interested in those old dudes and traditional art genres. But the Met totally stole the show, after it happened. How? 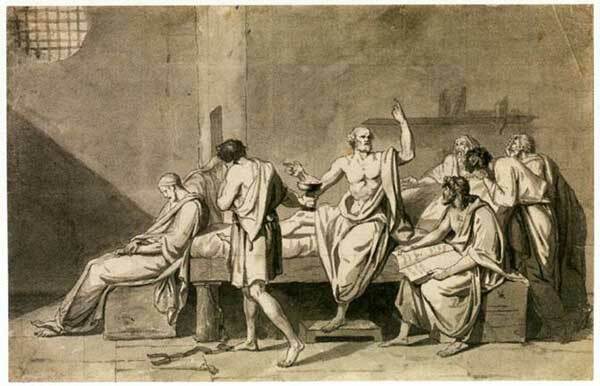 Well they purchased a piece, The Death of Socrates, with a shaky provenance “French School, Early 19th Century.” It was estimated to reach $700. 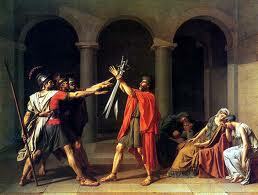 But the Met got it for a higher price, but still a bargain, compared to what it is really worth – because the reality of it, is that it is an actual Jaques-Louis David (you know, that artist who painted the Oath of Horatii which can be found in the Louvre- picture below). David created this work as a study for The Death of Socrates. And the Met purchased the original work in 1931. Keep your eyes open – you never know what you will come across.